You know that feeling when you have all the major equipment inside of your grocery store, and it’s nearly all put together, and you really want it to be done so that people can come shop, eat, and be merry? Us too. If you came inside Gus’s right now, you wouldn’t see an empty gigantic space. You would be able to see each of the departments. You’d see the dry age case where we are going to age our own beef and cure our own bacon. You would also see that we are close to finishing the Gus’s of our dreams, the grocery store that you never realized you were waiting on to fill that grocery store-sized space in your heart. 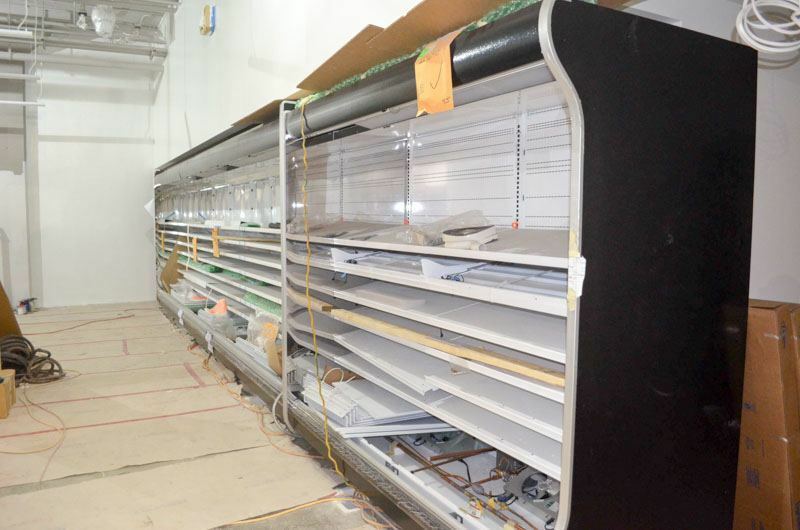 Next up for the inside is department signage, the smaller equipment, and other final touches that are going to enhance your shopping experience to the very limit. On the outside, we are waiting on awnings and other little details that, when you see them, will tug on your heart and make it impossible to pass our store without stopping in for at least a cappuccino and a half pound of granola. Also, we are working with awesome local muralists to put some fine-looking art on the 17th Street Wall. If you aren’t as excited as we are, we understand – it isn’t your dream to build a grocery store that satisfies everything a community would need, it’s ours. But hopefully our passion and dream results in you, our happy customers, to shop with smiles on your faces. We can’t wait to throw open our doors.